Below are testimonies in video form as well as written form. The bible says that "we overcome by the Blood of the Lamb and the word of our testimony". 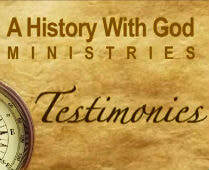 If you've been BLESSED by God, through this ministry, we encourage you to send us your testimonies. You can email them to us, written or on video, on the contact page. NOTE: If you're shooting a video with your phone or mobile device, please shoot it in the landscape position. Was hanging out before a prayer meeting with my brothers in the Lord, Tyler and Kennedy. Kennedy excused himself to get his guitar, came back and started playing. I prayed over his playing with Tyler from across the room and, to make a long story short, Kennedy took a new $100. dollar bill out of his guitar! Hey! I just listened to the podcast where Frank said his mate found money in his guitar! After hearing that, I asked God how come I can't find money like that? Aren't I blessed too? I went to get my mail about an hour later and in addition to my mail was, what I thought was just another Christmas card. I opened it, and it was a Christmas card but this card had 500 euros in it! I quickly looked at the envelope to see the return address and THERE WAS NONE! I said, Lord I'm sorry!! I'll never ask you a question like that again! God is so good. This is a great Christmas! On Friday, my gums were hurting real bad so, I took a Motrin 800 and went to sleep. I woke up on Saturday morning and my face was swollen (see BEFORE picture). I was in a lot of pain and I didn’t know what to do, so I took antibiotics and more Motrin throughout the day. I was up all night tossing and turning in pain. On Sunday morning, my face was still swollen and I was still in pain. I wasn't going to go to church but I finally decided to go. My church was having guest speakers that day; Frank and Christina Sasso from A History with God Ministries. My mom got them to pray for me. Christina touched my face, prayed, and then Frank said to “go home, and gargle with salt water. That salt water is your point of contact with Christina's prayer. Before you go to sleep, you will be pain free!”Well, I was in pain the rest of the day. My face was still swollen around 6:00pm. I gargled with the salt water and as soon as I laid down, the problem in my mouth “popped” and the swelling went down instantly. It hurt for a second then the pain went away! Now, I’m pain free and didn’t even need to go to the dentist! I just want to thank God for His healing and thank Mr. and Mrs. Sasso for the prayer! God is good and He answers prayers! My name is Shimal. I am another brother in Jesus in Indonesia. I started a T-shirt business with my son a year ago and it has not worked. We want to make the shirts help people with Godly phrases and wordings. For a whole year, we have not thought of any wordings that worked. We had printed over 2,000 shirts with different wordings, but wherever we try to sell our shirts, not anyone was buying them. My church pastor even counseled me to close it all down. We were going to close it down and then we found your web site while we were searching for Godly topics to use on our shirts. I click on the web site banner saying "BY THIS TIME TOMORROW WITH CHRISTINA SASSO". My son and me both listened to the woman Christina Sasso talking and we started saying loudly the words "BY THIS TIME TOMORROW EXPECT THE MIRACULUOS!!" MY SON YELLED TO ME THAT WOULD BE THE SHIRT WE SELL! GOD TOOK THE WHOLE YEAR OF FAILINGS AND MADE OUR TSHIRT BUSINESS BOOMING WITH THE NEW SHIRT. WE MADE OUR NEW SHIRT SAY ON THE FRONT SIDE BY THIS TIME TOMORROW AND THE BACK SIDE EXPECT THE MIRACULOUS. ON THIS SHIRT I PRINTED THE WEBSITE NAME GOD SHOWED ME. THE HISTORY WITH GOD NAME. IT IS THE ONLY SHIRT WE DID NOT PUT OUR WEBSITE ON. WE CALL IT OUR TITHE SHIRT BECAUSE IT WAS WITH THAT SHIRT WE WERE ABLE TO SELL OUT ALREADY SO PEOPLE START BUYING OUR OTHER ONES WE MADE IN THE YEAR. WE HAVE ORDERS FOR OVER NEXT 2 YEARS FOR BY THIS TOMORROW SHIRTS. GOD USED THE MINISTRY AND MINISTER CHRISTINA SASSO TO SAVE OUR BUSINESS. LOOK AT ALL THE PICTURES OF OUR SHIRT AND WE WILL DO WHAT THEY ALWAYS SAY AND THAT IS STAYING BLESSED! ALWAYS SAY IT! My mother smoked since she was 17 years old. She's 68 now and 6 years ago her doctors told her that she has COPD which is chronic obstructive pulmonary disease. It's a type of lung disease people who smoke can get and it gets worse over a period of time. Anyway, she has stopped smoking after learning that it's the fourth leading cause of death. She prayed that God would spare her life because she repented of smoking. So, she quit smoking because of fear. I told her that God is not able to hear prayers that are prayed in fear. I told her that she has a right to be healed totally because of the blood of Jesus already healing her of ALL of her diseases. I have been forwarding her the daily devotional emails (I hope that's ok) and she has totally changed the way she prays, knowing it pleases God to pray with confidence in his love for her. She has been praying the word for the greatest Christmas ever and has gotten the best gift already. 4 days ago, after a series of intense tests, she has been given a clean bill of health from her doctor. She hasn't been having any symptoms of COPD and her lungs are crystal clear as if she never smoked!!!! Thanks for never being fearful of speaking God's truth! My sister is born again and I am too but not like she is. She's crazed about it. She showed me this 30 days to Christmas article on this website and asked me to do it with her. Ok, I'll give this prayer thing a try. My sister (who loves this ministry by the way) said to not just 'try' it like it was a foreign food,,. but to just simply confess it and receive it into my heart as God's will for me every day. That it was to bless me so that I could also go and bless others and that God would show me the value in it. Fine. She calls me EVERY morning at 6:00 to read it along with me over the phone then preaches to me on speaker about it while I get ready for work. It's a good thing I'm not married, because that would make for a quick divorce. So, I did that and it's been a little over a week now. I was just about to give up yesterday morning after what felt like the hundredth time reciting this prayer thing. I went into work and my supervisor called me into her office. It seems promotions were in order last year but because of the economy, the company held back on giving them. She informed me that my company (which I cannot reveal, sorry) has done so well the last 2 quarters, that it was decided that 3 of the employees were being given a promotion now! AND I AM ONE OF THEM! Starting immediately, (today) I begin training for a position that in no way am I qualified for, but management seems to have faith in me, and has not only doubled my pay but has made it effective immediately BACK pay from last year's promotion that should have happened. The paycheck I receive this Thursday, will be more than I normally make in a year. Looks like it'll be the greatest Christmas for me! I haven't even told my sister yet. I really don't want to honestly. It'll just encourage her - lol! Thank you sincerely and Merry Christmas! I confess this word every day and I just received in the mail a $1,500 check for money the government owed me that I didn't even know about AND I found $500 dollars that I thought I lost over the summer!!!! $2,000 dollars!!!!!!! I might just travel somewhere for Christmas this year!! Thank you and I love the Godcasts!! Have a great Christmas and New Year! I was so excited when I read about Kennedy finding money in his guitar that I prayed, God I want that for me!! As I sat in traffic this morning, I leaned over, opened my glove compartment to get my EZ pass and there were 2 one hundred dollar bills sitting there right on top of my EZ pass!!!! This is the greatest Christmas so far of my life!!! Thank you Lord and thank you guys for doing this word of the month, I say it every day!!!! Been speaking the Best Christmas word for 20 days now and got a brand new car........ FOR FREE!!!!!! GOD IS GREAT!!! I'm writing this in for my neighbor who doesn't understand iTunes. She gets the devotions every day and has been speaking the 30-day word and had an experience she would like to share. She owed $2,000 to her utility company and they were days away from turning her power off and at the last minute, they informed her that she didn't owe it anymore because of a credit she was due. She had been paying approximately $100 more than she owed a month for more than a year and the over payments were enough to cover the $2,000. They hadn't caught it before because the over payments were going toward a different customer's account. That customer now owes them the money she did AND she received a promotion at her job as well. She's very happy because now she can enjoy the extra income without having to give it to her utility company. My brother and I have not been speaking for 4 years because of a stupid fight. I can't even tell you what we fought about. (and neither can he) I have been praying for a reconciliation now for 4 years and nothing. I get the daily message on email and listen to the Godcasts. When I saw the 30 day prayer to say every day, I hopped right on it and started saying it every day. I gave special attention to the part where it said 'Relationships completely restored'. 2 days ago I prayed and then called my brother. Up until then, he wouldn't even answer the phone and he'd make believe he wasn't home when I would go over to his house. Anyway, I called him and he answered! He told me that, just before I called, he had just prayed to God for another chance with me. That he was sorry for not acting like a good brother and that he would have the right words to say to me. He also asked God that if He made me call him right then, he promised he would answer his phone trusting God would give him the right words to say to me. Well, the best part of this is not only did we reconcile and reconnect but I led him to the Lord right in his own kitchen!!! This is the guy that would have NEVER become a 'Jesus nut' like me. We both live alone and the rest of our family is long since passed on. It's only been a couple of days, but he already LOOKS like a different person! We're going to my church's Christmas service together and even talking about getting our own house. THIS REALLY IS THE GREATEST AND MOST JOYFUL CHRISTMAS EVER!!!!!!! THANK YOU FOR POSTING THIS PRAYER!!!!!!!! I LOVE YOU GUYS!!!!!!!!!!!! I LOVE YOU, LORD!!!!!!!!!!!!! There was a time when it would really anger me when someone would say that God wants you to be rich, healthy and happy. I HATED hearing that especially because I was poor, sick, and angry. If I wasn't rich, healthy and happy I thought "how could God want me to be rich, healthy and happy if I'm not that?" I had a very big ego and could never fathom that there was anything I needed to change, because if God is all-powerful, and He wanted me to be rich, healthy and happy, then He would make it so in my life. Well, it wasn't until 3 years ago, that I actually understood that God already provided riches, health, and happiness and I have a part to play in bringing into my life. I never got that until 3 years ago. Now I have plenty of money in the bank, no longer deal with diabetes, and I am very happy. 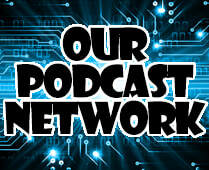 This podcast reinforces the entire salvation package for me every week and I am very thankful for that. Lost Keys - Minnie S.
Last Friday I had a very important meeting to attend. I was to entertain a group of people. When it was time to leave I could not find my car keys. I searched the house without success. However, I remembered that I had an extra car key. I used that key to go to the meeting and the same key to return. When I returned, I took the key out of the ignition and put the key on my dresser. I continued to look for the set of keys that I usually use and still could not find them My son had been to my house the night before and I thought he may have taken them by mistake. I called him and he did not have them. He said, just pray to the Lord and he will show you where your keys are. I prayed to the Lord and asked Him to help me find my keys. I continued to look and still could not find them. I then went to look in my car again and the keys were in the ignition. I give God all the glory and thank Him with all my heart. Breast Cancer? I Think Not! - Albina M.
After my dad died in December of 2004, my mom came to live with me. One day as I was washing her clothes, I noticed a lot of blood on her shirt. I asked her, “Mom, where did this blood come from?” She lifted her shirt to show me. Her breast was completely covered in blood, and when I touched it, it felt like a banana that had been cut into thirds. It was a tumor that was growing outside of her flesh and resembled a huge, oozing scab (similar to when a kid falls, skins his knee and pulls the scab off when it's trying to heal). I immediately took her to the doctor and he quickly scheduled a mastectomy for 2 days later. He diagnosed her with “aggressive Stage 4 breast cancer”. I stood on the Lord's promises and claimed her healing in the name of Jesus. I also thanked Him for working, through the doctor's hands, while she was in surgery. I felt a peace rising up in me and I knew and trusted that she would be well. I immediately thanked God for healing her, confessed that He is my mother’s doctor and that she would live and not die. I also thanked Him for being with her throughout her chemotherapy, and I claimed, in the name of Jesus, that “not a hair would fall from her head, nor would she vomit her food”. Well, praise God, she did not lose her hair or vomit her food, AT ALL. All her mammograms since then have come back healthy and normal. At the visit with the medical oncologist last week, he said her blood work looked good and he released her from his care. I share this testimony with you so that you will know that NOTHING is impossible with God, and His word is true and final.